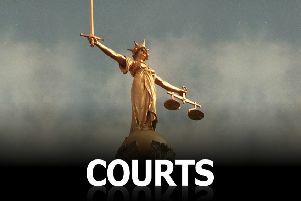 A man appeared before Northampton Magistrates Court today (Tuesday) charged with six sexual assaults against children. Thomas Sean McCarthy, 37, from Finedon, was arrested on Easter Day before being charged last night with a total of six sexual assaults against a child under the age of 13. McCarthy was remanded into custody by Northamptonshire Police and appeared before magistrates this morning. He entered no plea at today’s hearing and was further remanded to appear before a judge at Northampton Crown Court on April 16.